Friend or foe in Brussels? I can’t help but wonder what was going through the minds of these two insects as they perched on the same stalk of vegetation this past weekend at the botanical garden in Brussels, Belgium. Their postures suggest to me a heightened sense of alertness and a kind of wariness. 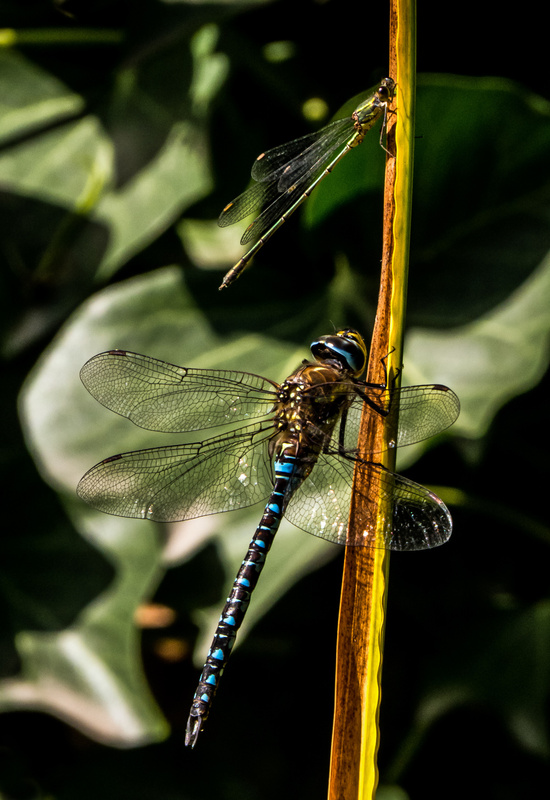 The much smaller damselfly at the top seems to be cautiously looking down over its shoulder at the Migrant Hawker (Aeshna mixta), who appears to be focusing his attention upward. Was it a sign of curiosity or one of hunger? 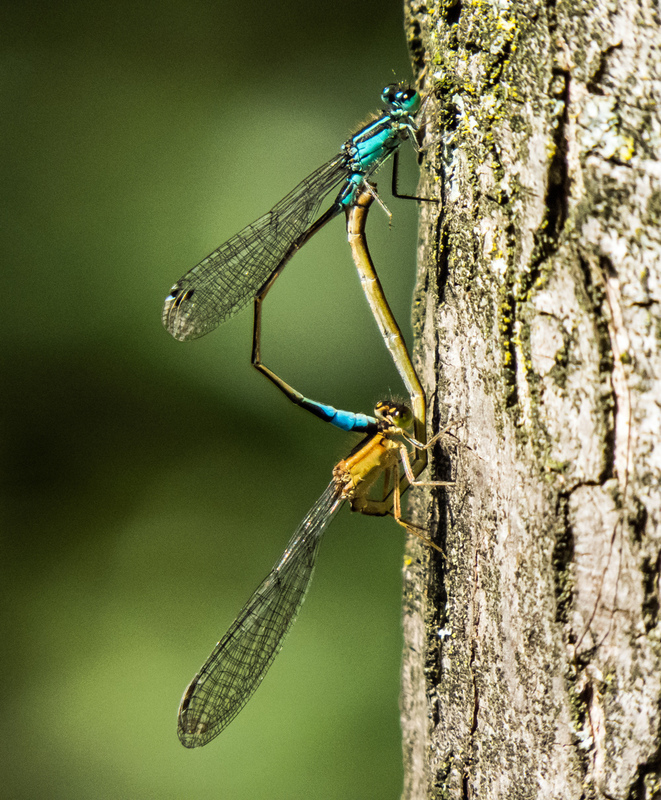 There was never any sign of direct aggression, but I note that the damselfly was the first one to take off and the dragonfly did not pursue it. For those of you who are not as hooked on dragonflies as I am, this image shows pretty clearly some of the differences in the body shape and eye positions of a damselfly versus a dragonfly. 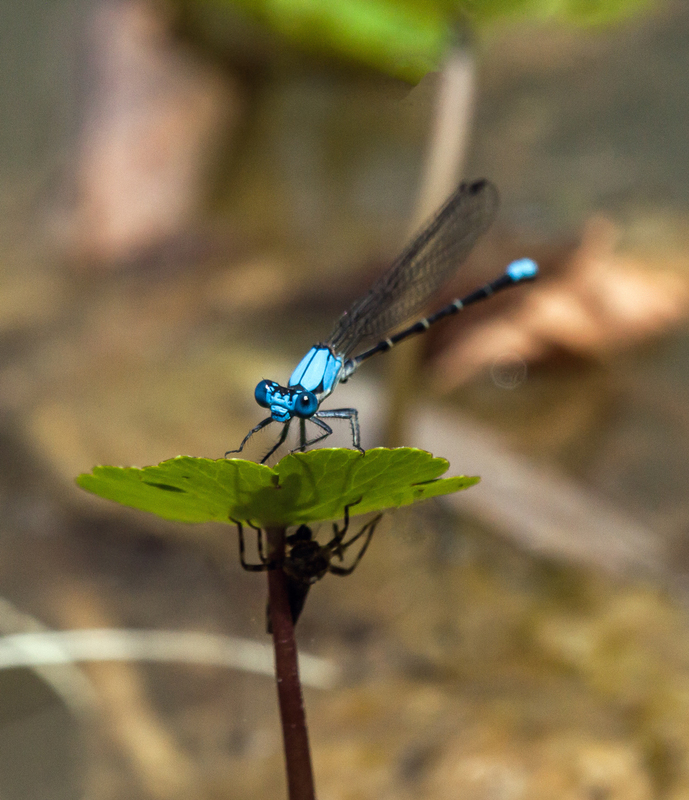 It is important, though, to keep in mind the amazing diversity within the community of dragonflies and damselflies in terms of color, size, and behavior—these are some of the reasons why I am drawn to them as subjects for my photography. 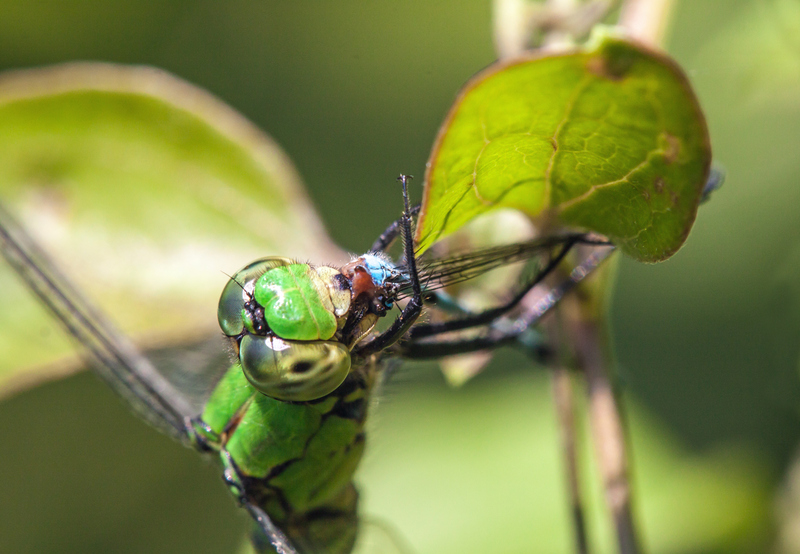 This image is a little gruesome, but here is a close-up look at an Eastern Pondhawk dragonfly (Erythemis simplicicollis) as it consumed a damselfly that it had captured this past Monday at Occoquan Bay National Wildlife Refuge in Northern Virginia. 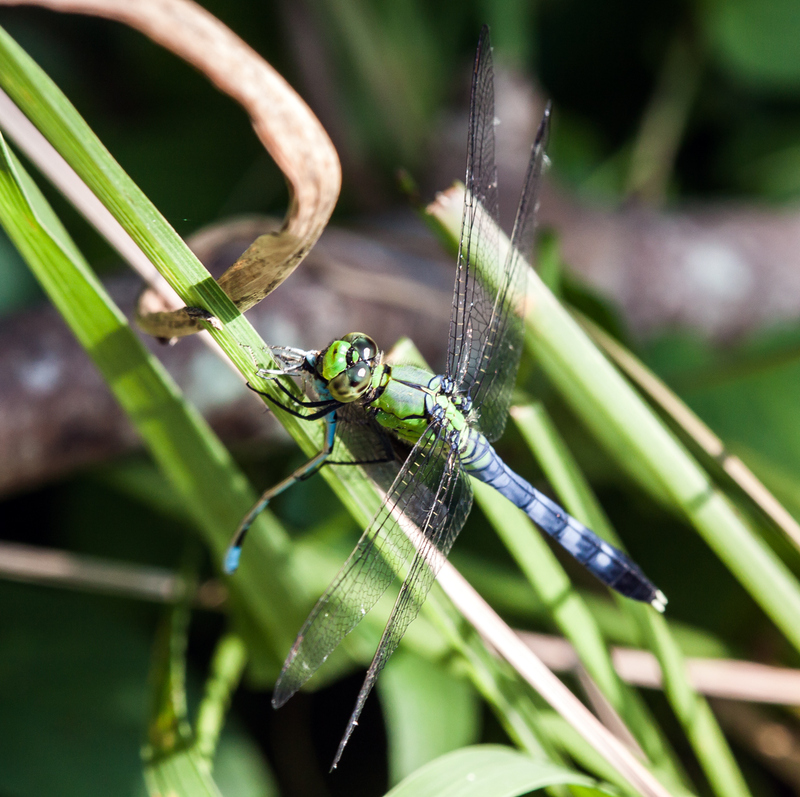 The second image shows a different Eastern Pondhawk with a different damselfly—the pondhawks seemed to have a particularly voracious appetite that day. There are often a few moments in the early morning when the world seems completely at peace. The waters are calm and reflections are almost perfectly mirror-like. Sometimes there is enough light to take photographs, but even when there is not, I enjoy getting up early simply to savor those moments. This past Monday morning, when I arrived at a small pond at Occoquan Bay National Wildlife Refuge, I noticed the beautiful reflections and my attention was drawn to a stick protruding out of the water. 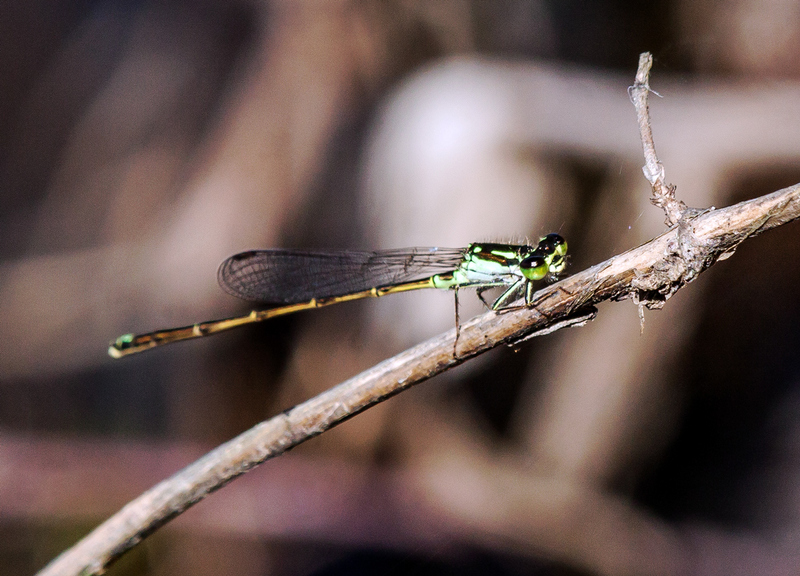 As I zoomed in on the stick, I noticed a damselfly perched on it. 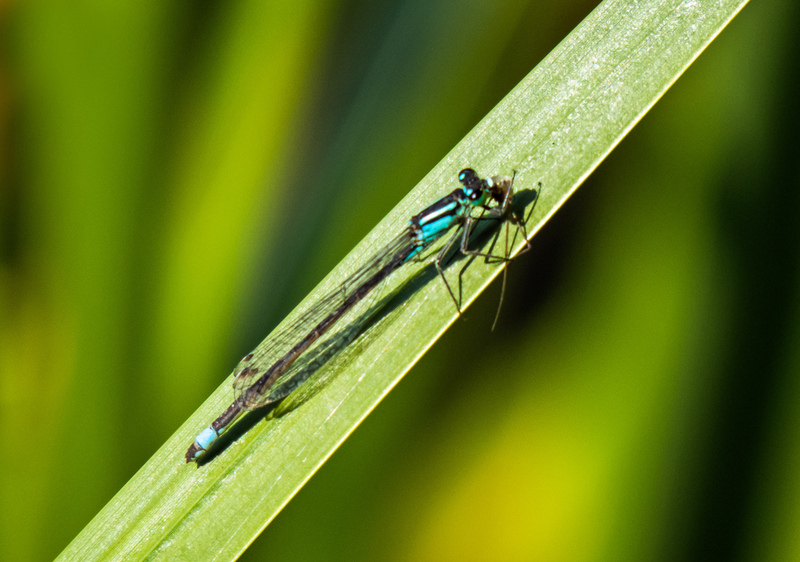 Damselflies belong to the same order of Odonata as dragonflies, but usually are smaller in size, often 1 to 1.5 inches in length (25–38 mm). 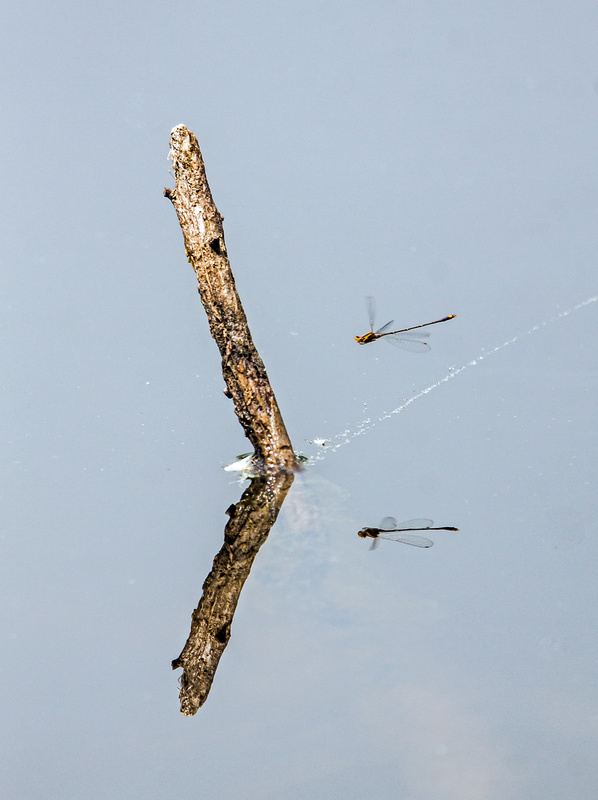 I decided to take some shots of the stick and the perching damselfly and as I was doing so, the damselfly flew away. I managed to capture the image below as the dragonfly was returning to its perch. This image is somewhat atypical for me in the sense that it is not a close-up portrait. Most of the time I try to use my telephoto zoom or macro lens to capture as many details of my subject as I can. In cases like this, though, I am content to capture an image that evokes the mood of the moment. There is a kind of minimalist simplicity in this photo that really appeals to me. 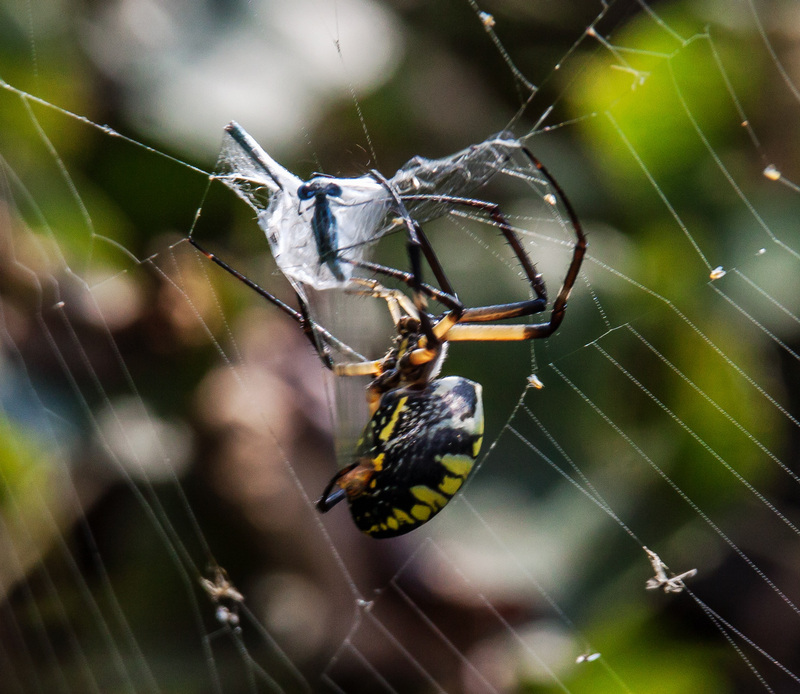 When a Black and Yellow Garden Spider (Argiope aurantia) traps a prey in its web, it often moves so quickly to wrap it up completely that it is difficult to identify the prey. 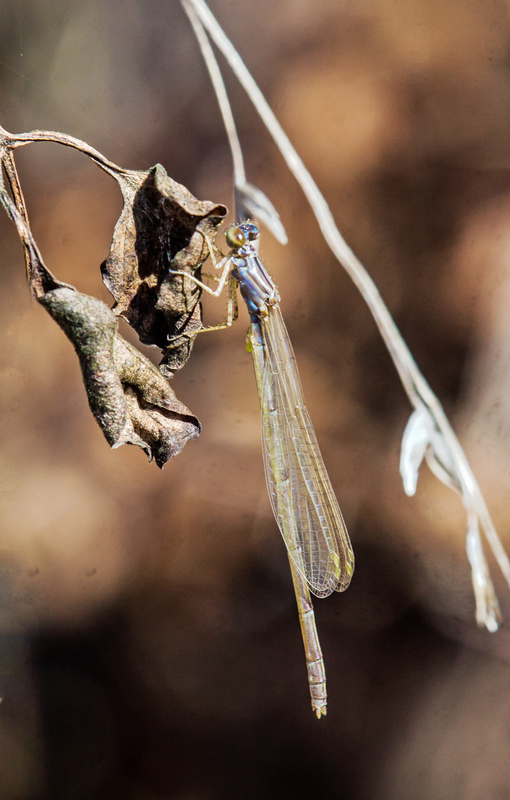 That was not the case with the damselfly that I spotted yesterday at Occoquan Bay National Wildlife Refuge as it was being encased in a silken shroud. The damselfly looks to be a bluet damselfly and if pressed, I’d guess that it might be a Familiar Bluet (Enallagma civile) or possibly a Big Bluet (Enallagma durum). The spider seems to be experiencing the same kind of problem that I encounter when I am trying to wrap an awkwardly-shaped present at Christmas time—it is hard to be neat and tidy, the process uses up lots of wrapping material, and the package always end up irregularly shaped and easy to identify. Over the last few years it has become traditional for me to be in Brussels over Labor Day weekend in early September for meetings. 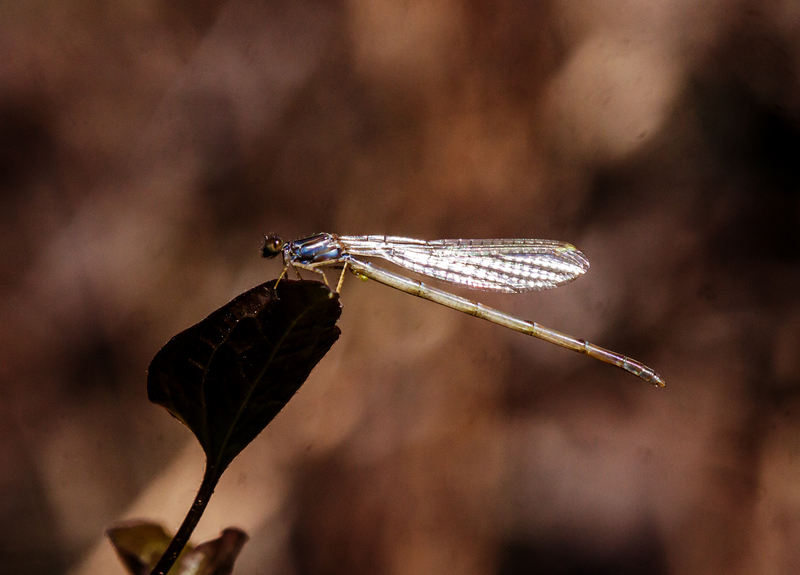 After I arrived today, I had some free time and captured these images of damselflies in the Botanical Gardens. Some of them are quite similar to those that I see at home, while others appear to be a bit different. As is often the case when I am traveling for work, I left my big camera at home and took these shots with my Canon SX50 HS superzoom camera. 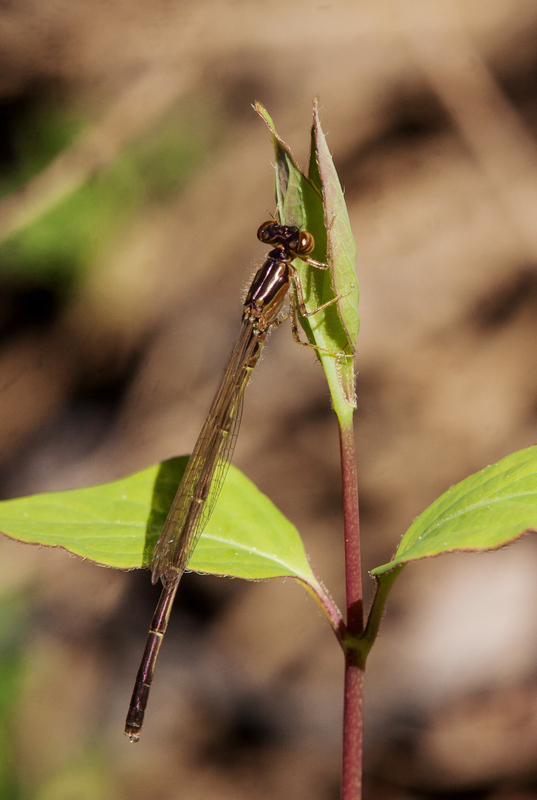 Whenever I walk along the edge of a pond, I always like to look for damselflies, which love to perch on the vegetation growing out of the water. Footing can be a bit problematic and more than once I have slid down a slippery bank into the water. Normally, though, I just lean out as far as I dare to get some shots. 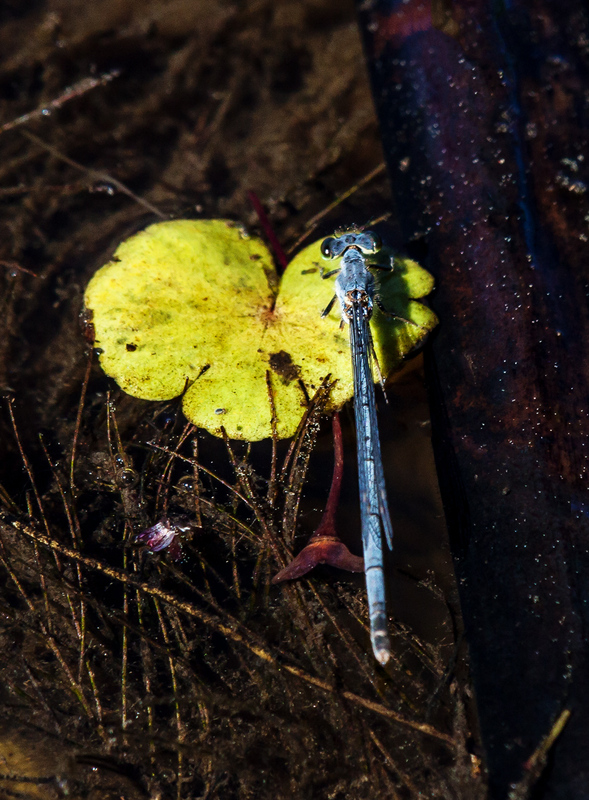 Last weekend as I was exploring Jackson Miles Abbott Wetland Refuge, I spotted this beautiful little damselfly that was looking in my direction. I knew that depth of field would be a problem from that position, but did my best to focus on the damselfly’s beautiful eyes. When I returned home and began to review my shots, I was a little shocked to see what looked to be the discarded exoskeleton (exuvia) of another damselfly (or possibly a dragonfly) on the underside of the leaf on which “my” damselfly had perched. How did I not notice that when I was shooting? 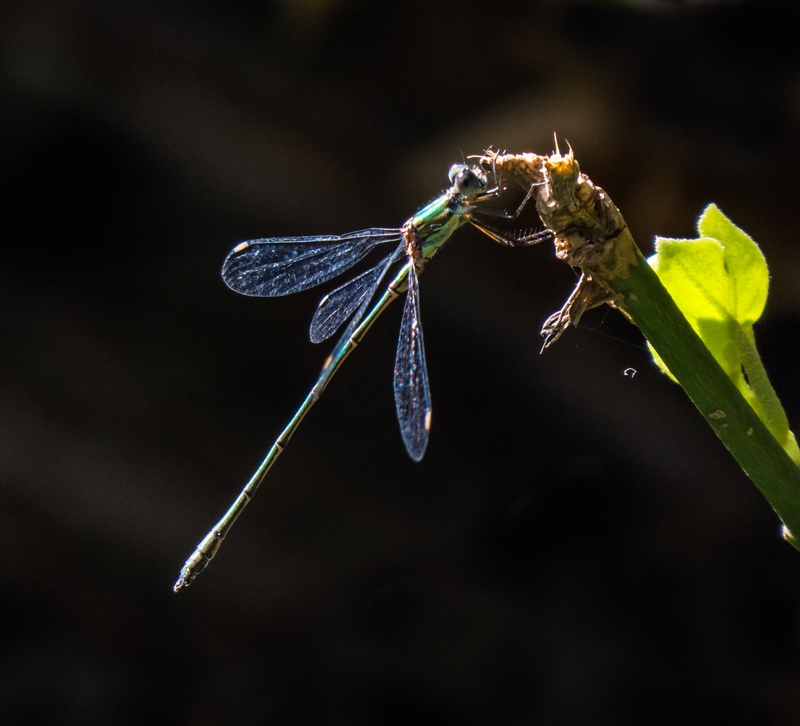 I really like the way that the head of the exoskeleton is facing that of the damselfly and the shadow in between the two of them. Is it the shadow of the one looking down or the one looking up? Common sense says that it is the former, but the slight degree of ambiguity adds interest to the photo for me.